Fretting over what to design in a greeting card can be a bit daunting! So if you’re in sitting there staring at cards to design that perfect festive message, you’re NOT ALONE! And our only advice to you is to keep it simple and fun, as the occasion of Thanksgiving calls for having LOTS OF FUN!! As with any card, a good place to start is to keep focused on the person you intend to share the card with and the relationship you have with them. It’s the thought and the personal touch that makes it special! 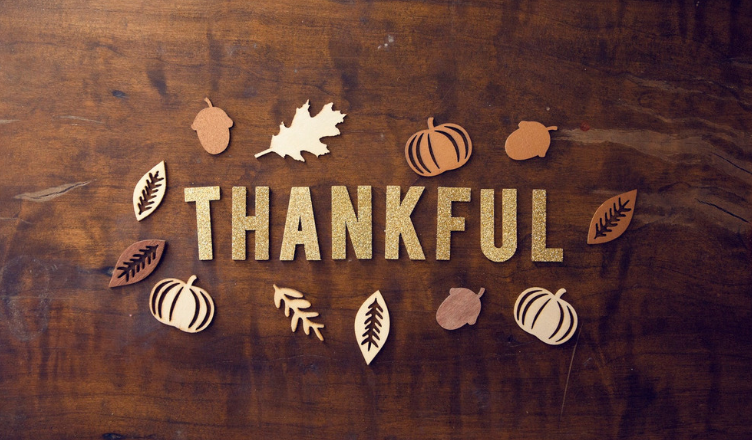 Here are a few tips on how to craft beautiful cards for Thanksgiving! Refer to the spirit of the holiday itself! Coin a bright and colorful card and wish them a very Happy Thanksgiving. Do not forget to add these elements for this category Thanksgiving>Happy Thanksgiving. This card by mannysoriano is the perfect example of a Thanksgiving card. All the elements are just perfect and very autum-ish with the blend of colors, the fall and the pumpkins. It sets the perfect mood for a lovely Thanksgiving day. You can try some fun, alternate ways to let them know that you are thinking of them and you miss them this Thanksgiving. 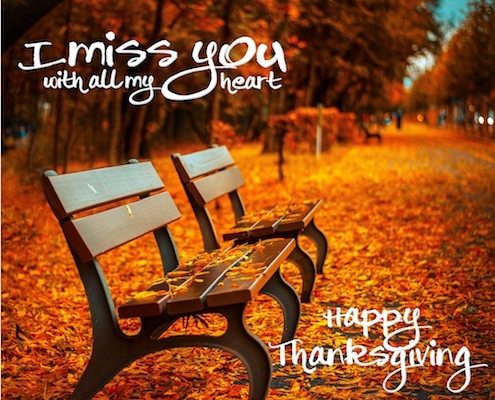 Check out our another sub-category Thanksgiving>Miss You. This sweet card by poppies truly depicts the essence when you miss someone who is miles away from you. With this adorable message and the autumn effect, this card is certainly the best for anyone who is staying away from one’s family and friends this festive season. When you send a card it’s the emotion that is felt what you are thinking of them, however, there’s no harm in going in that extra mile to express your thoughts to them with a few words. Let them know how you wish you could be with them on this day. With this category Thanksgiving>Turkey Fun. Now this card from ashupatodia is both cute and funny. 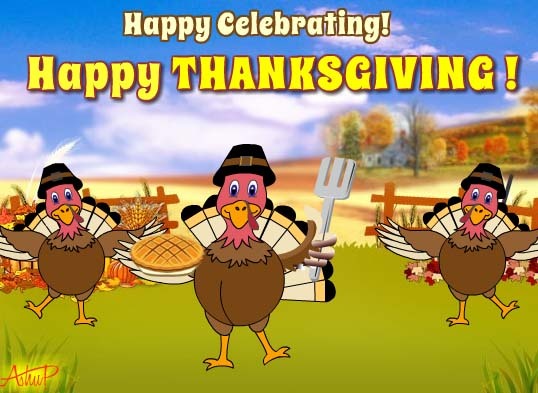 The dancing turkey and delicious pumpkin pies make it an apt card this Thanksgiving. The color and the animation is creating al the perfect feel and can be sent to anyone close to you. Since we were talking about kids we find this card by greetingsloves to be very attractive and pleasing. With the fresh imagination and pop of colors, this card is perfect for kids which can be shared with them this Thanksgiving. You can pick any from the lists above or you can come up with your own cool and graceful stuff! Thanksgiving is fun-filled so have fun with whatever message you decide to share with your loved ones.